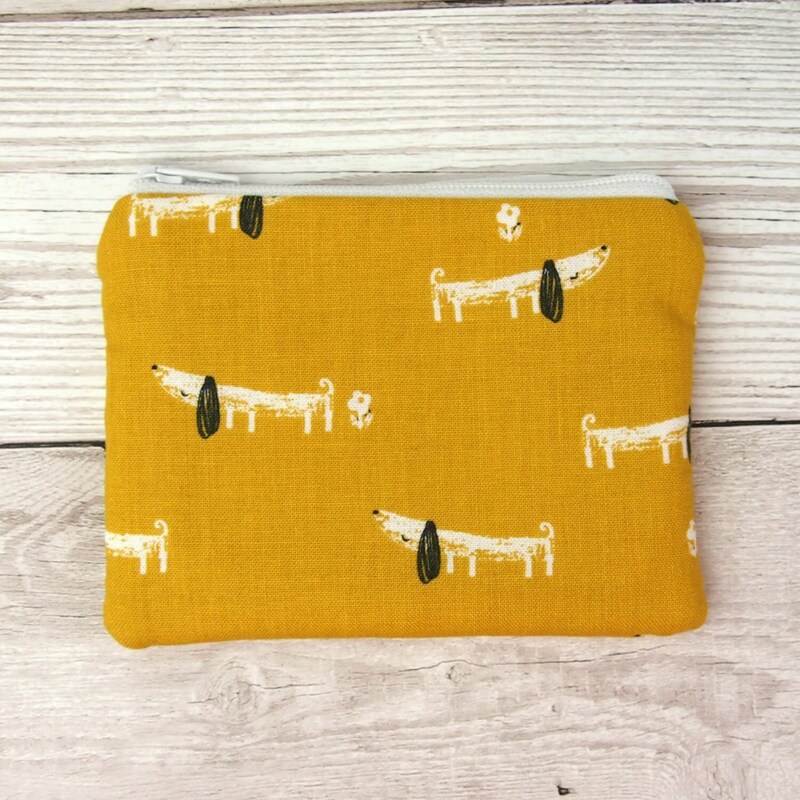 The coin purse is made from quality cotton fabric in a gorgeous mustard shade featuring adorable mini dachshund dogs each purse is fully lined in a coordinating cotton fabric and padded to give it a little shape, whilst the zip closure keeps it all secure. When you only want to take the bare minimum with you, a pretty coin purse is just the ticket. 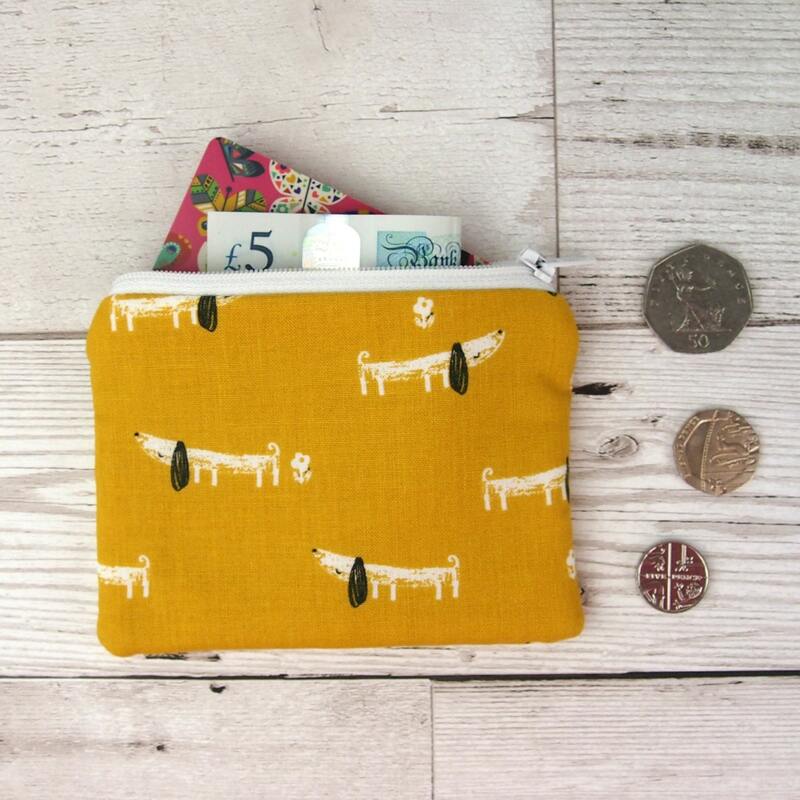 Coin purses are the perfect size to stash your pennies and pounds in. Whether you’re travelling or just need a pop of colour in your life, there is a coin purse for every purpose. 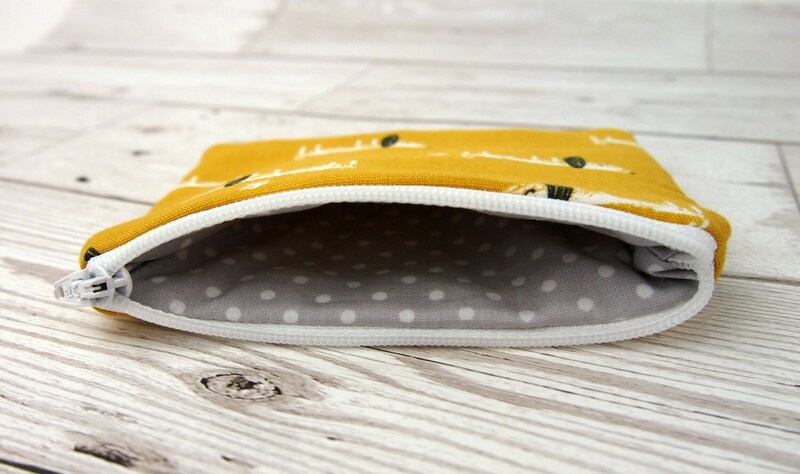 The coin purses have many uses not only for change and cards but are ideal for your smaller items such as earphones, cables, keys, lip balm and other small essentials. They make cute little birthday or Christmas gifts for your mum, dad, best friend or sister. The colourful cheerful design is sure to brighten your every day. Arrived quickly and was just as I'd hoped. I love it, thank you.